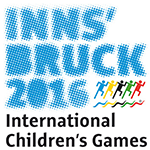 From 12 to 16 January 2016, Innsbruck and the Tyrol hosted the International Children’s Games. This major multisport event is designed for children from 12 to 15 years of age. About 600 athletes from many different cities and countries worldwide travelled to the Tyrol and experienced unforgettable moments with the local population. Innsbruck had the honour of organising the International Children’s Games for the first time, having hosted the Winter Olympics in 1964 and 1976 as well as the Universiade in 2005 and the Winter Youth Olympic Games in 2012, another sporting event under the auspices of the IOC is was organised. The International Children’s Games were founded in 1968 to create a better world based on friendship. Sports seemed to be one of the best means to bring young people from different countries together. Since the first edition in 1968, there have been 49 Summer Games and 7 Winter Games. Since the 2003 Games at Graz the city of Innsbruck is annually represented at the International Children’s Games with a delegation. Since then, a total of 300 athletes from Innsbruck sports clubs have participated at 13 summer and winter Games. Because of that continuous participation and the successful staging of the 1st Winter Youth Olympic Games a bidding by Innsbruck as Host City for 2016 was a logical consequence. The athletes competed in eight Olympic winter sports disciplines with an overall of 31 medal events: Alpine Skiing, Biathlon, Cross-Country Skiing, Figure Skating, Freestyle Skiing, Ice Hockey, Snowboard and Speed Skating. Some new events were brought to the games too: The Mixed Team Events were a central part of the Innsbruck 2016 sports programme, they allowed athletes of different delegations to compete together in teams. These competitions once again underlined the important role of the Games in bringing people together and reinforce the Olympic values of friendship and respect. The Innsbruck 2016 International Chidren’s Games are the world’s first multi-sport event ever being realised as a Green Event. Around 500 volunteers witnessed the ICG at first hand and took an exceptional look behind the scenes! They were a key link between everyone involved in the Games – athletes, coaches, officials, VIPs, etc. – and important representatives of the ICG 2016. With their dedication, skills and experience our volunteers not only made a significant contribution to the smooth running of the event but also created a unique atmosphere and unforgettable memories for all guests and parties involved thanks to their helpfulness and hospitality. Innsbruck and its population were proud to give these young athletes the opportunity to test their sporting powers and gain new cultural insights. In order to promote the cultural side of the Games, the sporting competitions in Innsbruck, Axams, Muttereralmpark, Seefeld, Götzens and Telfs were accompanied by a colourful side programme designed to unite the athletes outside of the sporting venues and give them a chance to meet and forge friendships. During the Games, the Innsbruck Exhibition Centre was transformed into a meeting area – the Homebase – where both visitors and locals alike could mingle and experience an unforgettable week together.